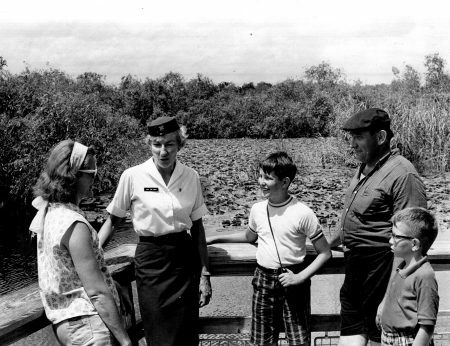 Everglades National Park is 1.5 million acres of preserved Florida wetlands closed off to development but open to curious visitors. 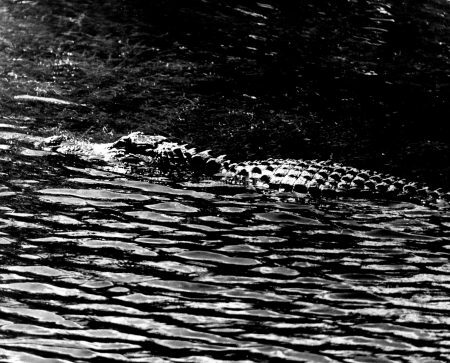 The park holds hundreds of species of wading birds, and is home to both the American crocodile and alligator. 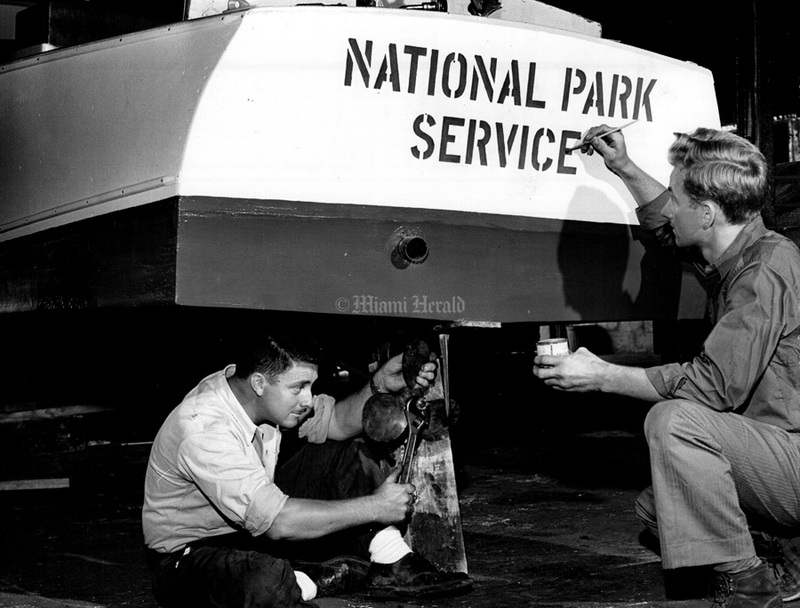 It was established as a protected national park Dec. 6, 1947. 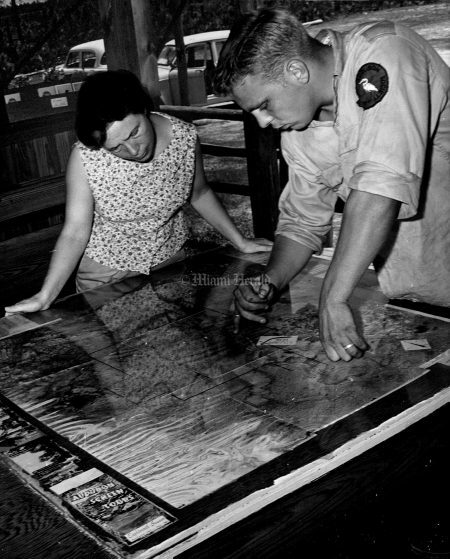 5/29/1962: Fire Areas Are Shown to Visitors by Audubon Rangers. Ranger Joel Cadbury charts path of blazes for Mildred Morgan. 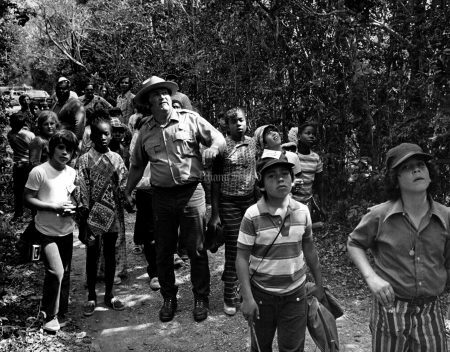 3/1/1973, Bob East/Miami Herald: Everglades National Park Ranger, Bruce McHenry, takes kids for nature walk in park. 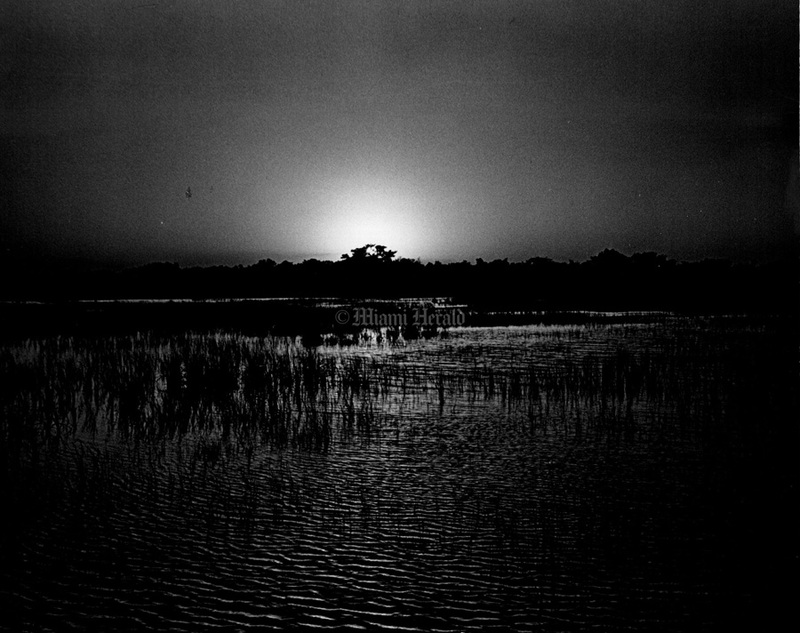 12/17/1971, Jim Birmingham/Miami Herald: Everglades National Park. 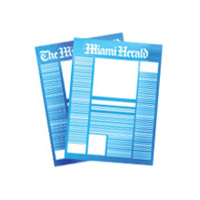 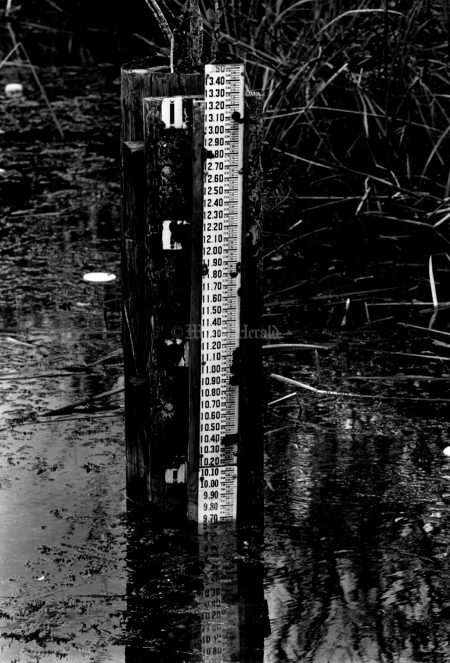 2/21/1983, Marice Cohn-Band/Miami Herald: Water Gauge registers 9', 7" in Everglades National Park. 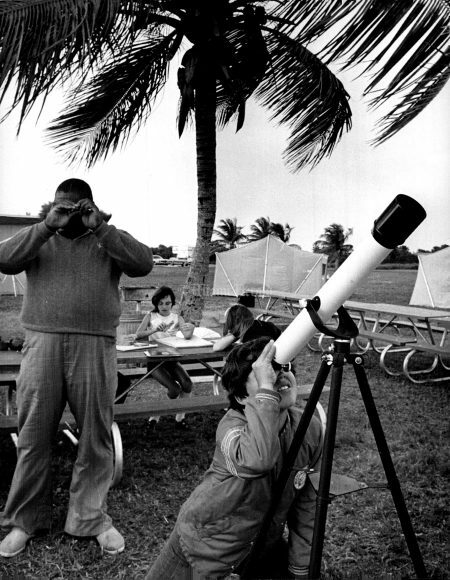 3/1/1973, Bob East/Miami Herald: Science teacher Carlton Fisher checks on kid watching birds with telescope. 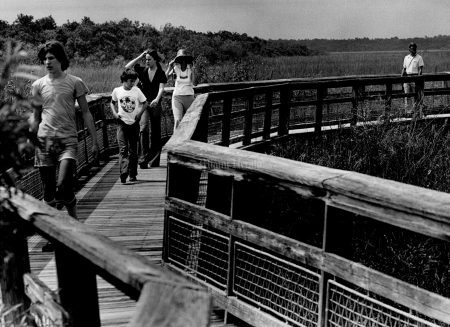 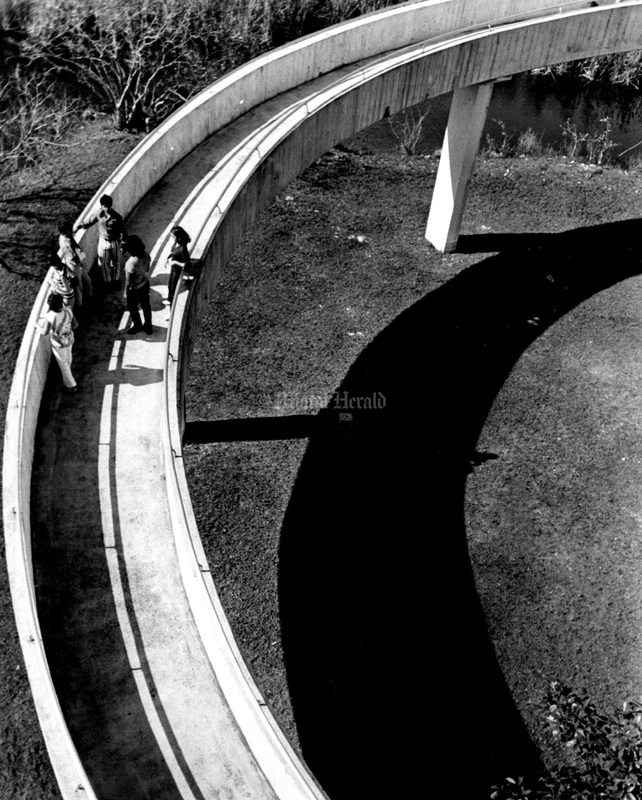 8/24/1976, Marlin Levison/Miami Herald: Park of walkway in Royal Palm hammock in Everglades Park where trams will take visitors for a closer look at the Park. 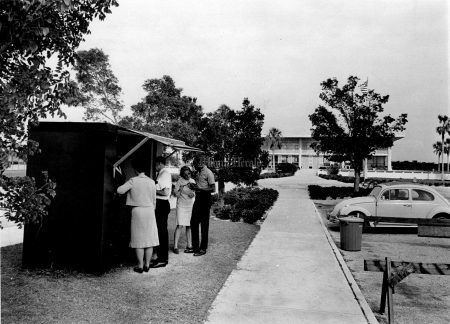 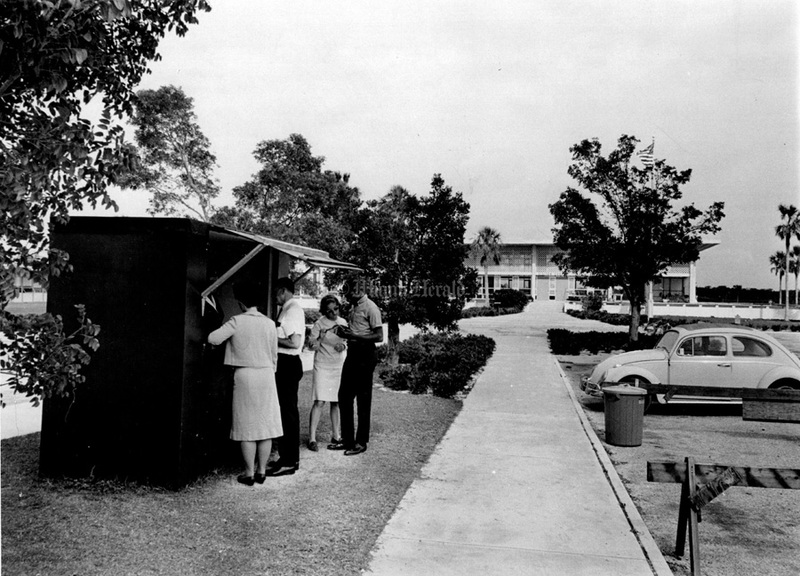 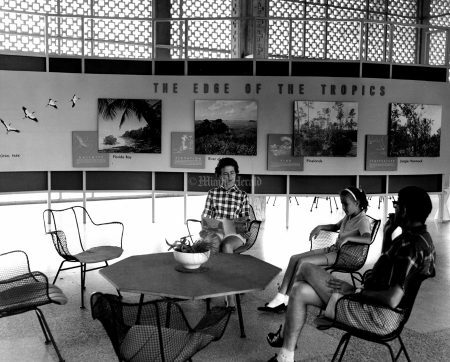 Undated: Everglades National Park visitors centers. Undated: THE FLOCK'S IN – Everglades National Park's newly marked and charted Wilderness Waterway passes through many areas teeming with bird life. 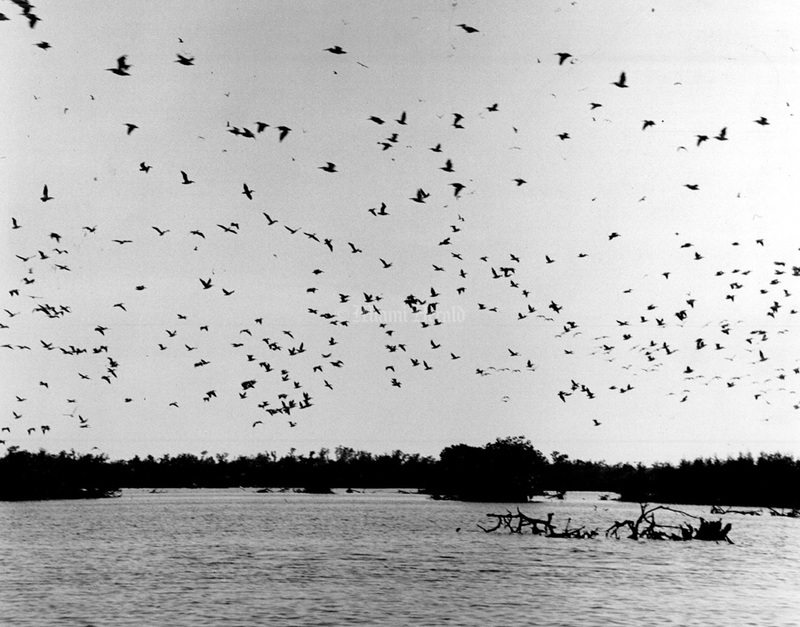 A flock of white pelicans is silhouetted against the sky at dusk. 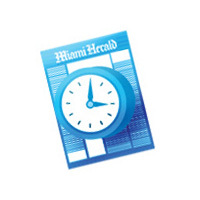 The new inland Florida waterway for small craft is a 99-mile route linking Flamingo and Everlades City. 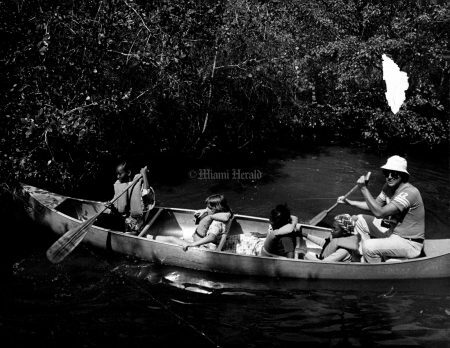 12/17/1971, Jim Birmingham/Miami Herald: Everglades field trip. 3/29/1966, C.A. 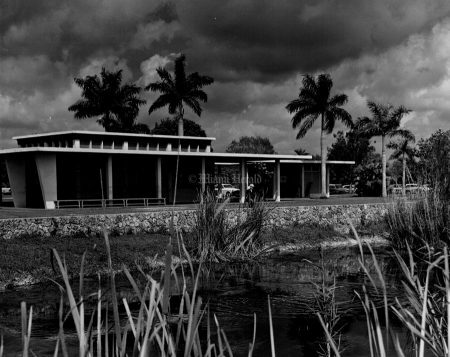 Mitchell/Miami Herald: Everglades National Park Visitor Center, badly mauled by Hurricane Betsy, won’t be opened for another few weeks due to delayed building materials. Meanwhile Mrs. E. C. Harriott passes on information to visitors like Mr. and Mrs. D. A. Allen of Cape Cod, Mass., from her wooden stand. 9/21/1989, Mary Lou Foy/Miami Herald: Everglades National Park. 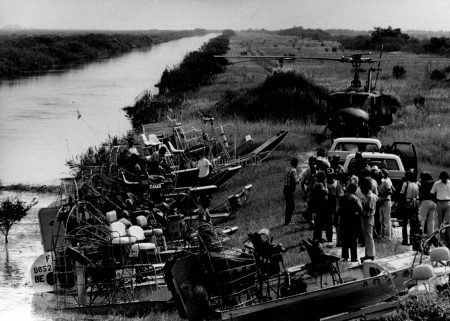 7/7/1967, C.A. Mitchell/Miami Herald: Everglades National Park guided tour. 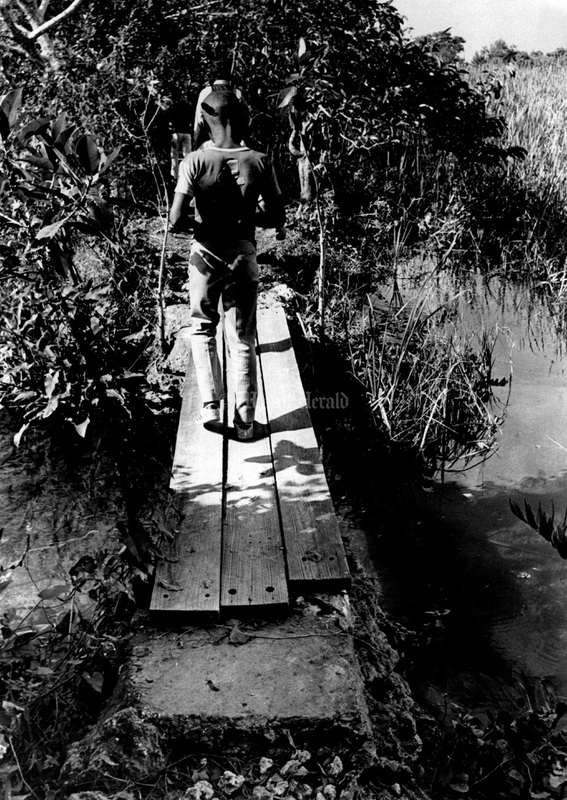 10/4/1979, Bob Eighmie/Miami Herald: Everglades air boats. 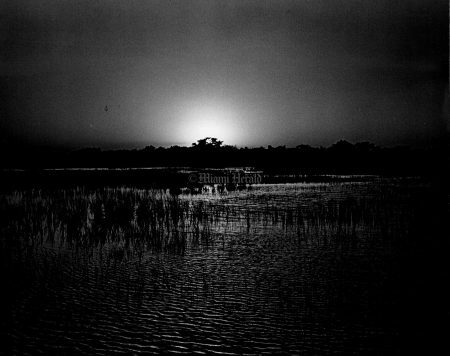 1966, C.A.Mitchell/Miami Herald: Trees Over Everglades National Park in South Dade. 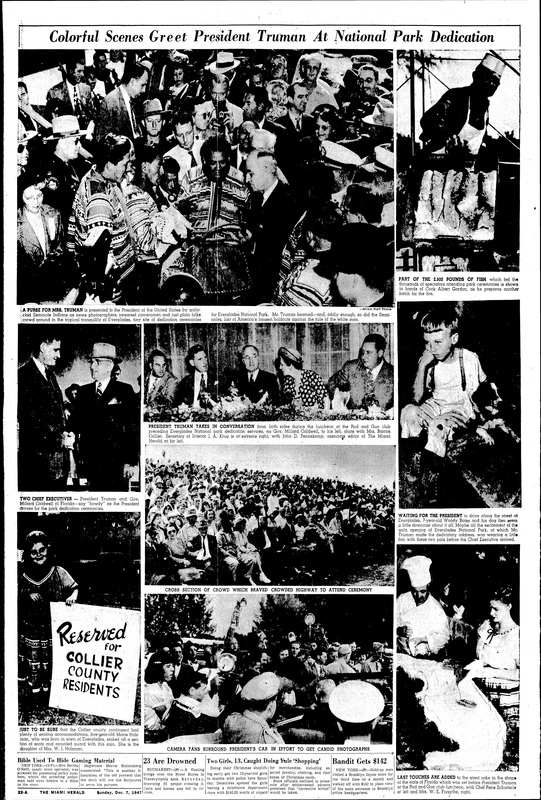 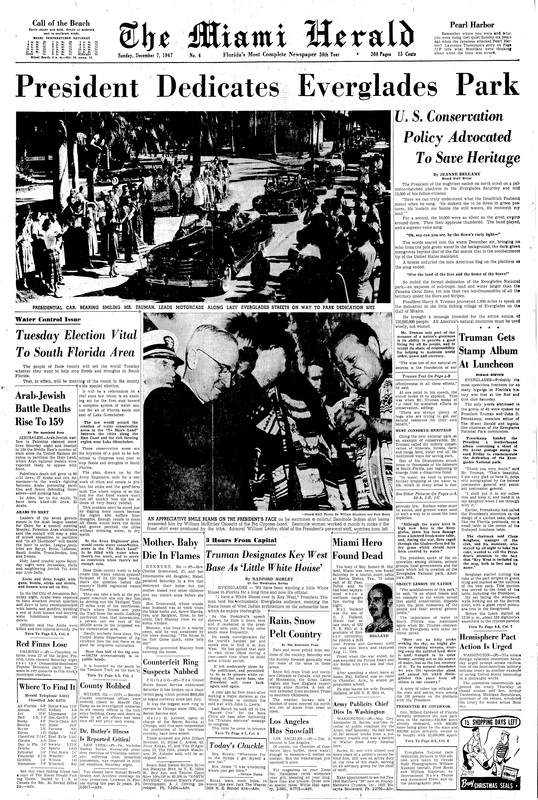 Dec. 6, 1947, Miami Herald, Front Page: President Harry S Truman dedicates Everglades National Park during a ceremony in Everglades City, its borders encompassing the state park. 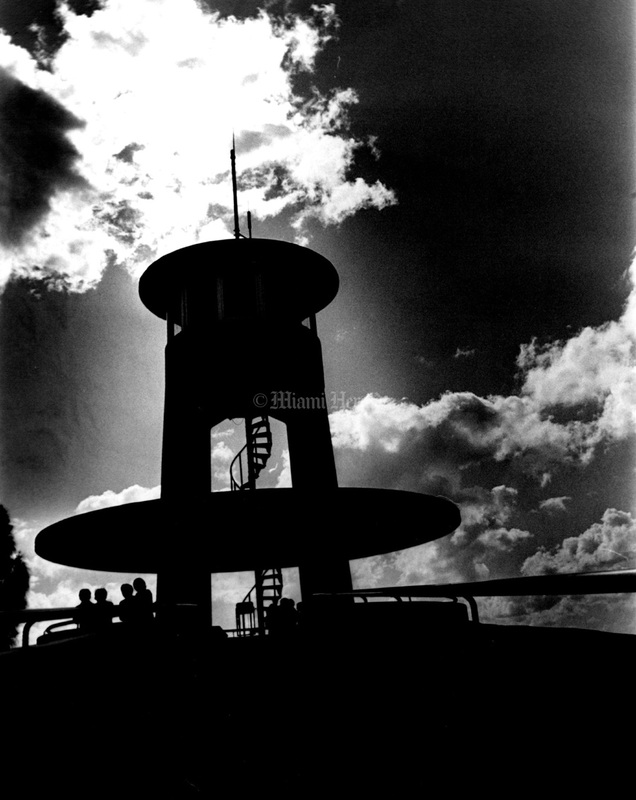 3/28/1965, Bill Kuenzel/Miami Herald: Everglades National Park's Royal Palm Visitors Center. Dec. 6, 1947, Miami Herald, 22A: President Harry S Truman dedicates Everglades National Park during a ceremony in Everglades City, its borders encompassing the state park.